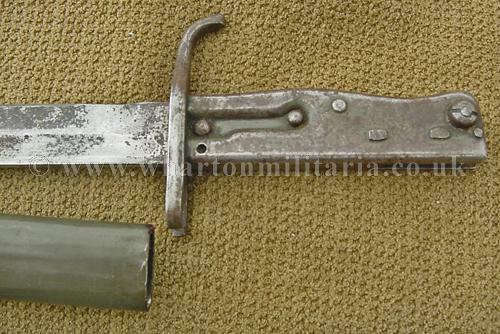 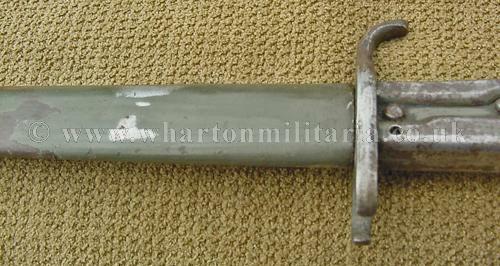 An excellent example of a scarce WW1 German Ersatz Model 1916 bayonet with solid steel hilt, has an opened muzzle ring, rarer fullered blade. 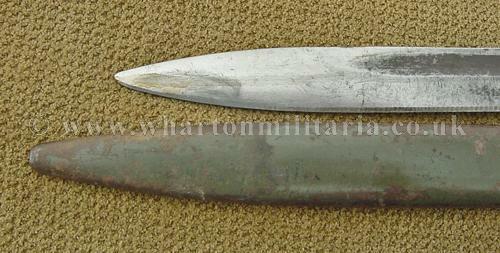 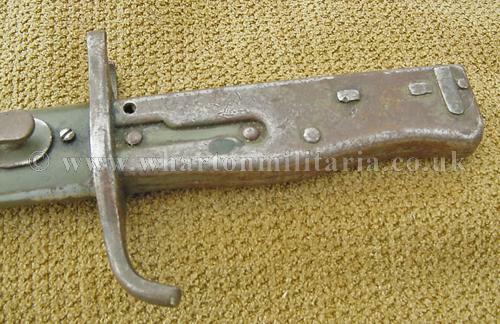 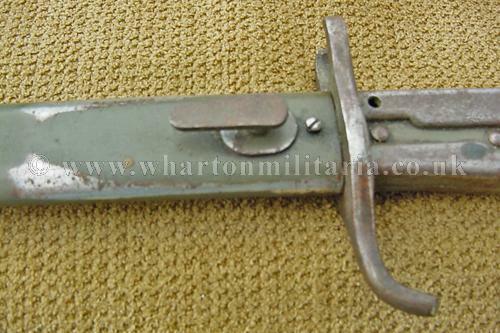 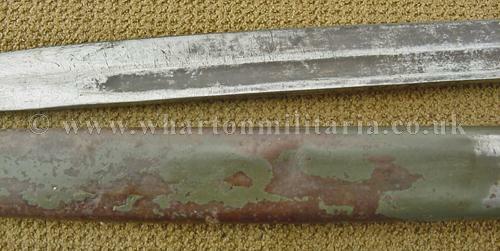 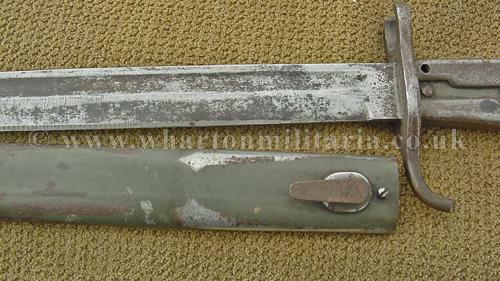 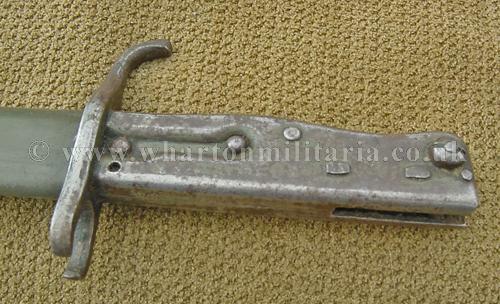 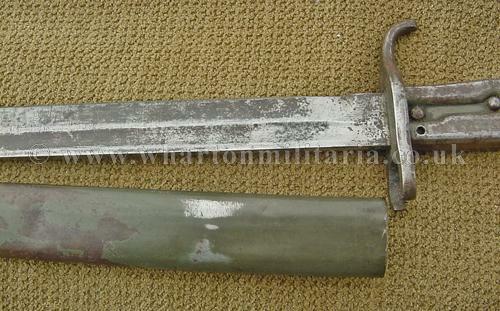 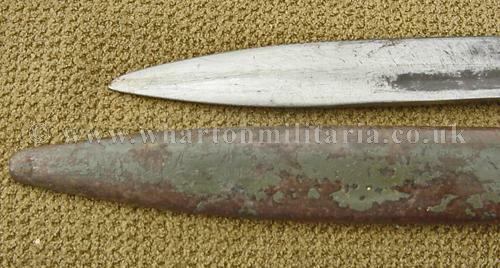 Steel scabbard in very good condition retaining much of its original paintwork. 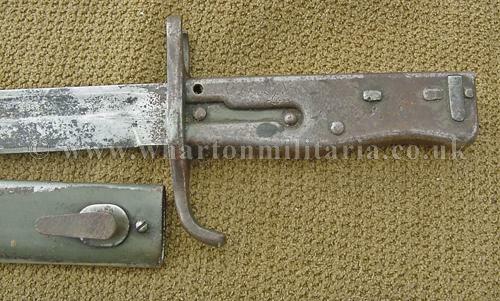 Strangely, these Ersatz bayonets are becoming harder to find.